A. M. Klein. Library and Archives Canada. Reproduced by permission. Regarded as one of Canada’s foremost literary figures of the first half of the twentieth century, Klein is primarily known as a poet of the Jewish experience. While capturing the unique flavor of Jewish life in Montreal, Klein’s poetry also illuminates the catastrophic history of the Jews. In addition to poetry celebrating his heritage, exemplified by the collection Hath Not a Jew ... (1940), Klein addressed the various fundamental questions related to human existence in his collection The Rocking Chair, and Other Poems (1948). He also depicted humankind’s universal quest for freedom in his acclaimed novel The Second Scroll (1951). Jewish Life and Commitment. Abraham Moses Klein was born in Ratno, Ukraine, on February 14, 1909, to Colman and Yetta Morantz Klein. The family immigrated soon thereafter to Canada. Klein was brought up in Montreal and lived his life there. His formative years were spent in the self-contained Jewish community of the Montreal ghetto, centered around St. Lawrence Boulevard. The first Jews came to Montreal in the 1760s, and the Jewish community in Montreal was founded shortly thereafter. It is one of the oldest Jewish communities in North America. By the early 1900s, at least seven thousand Jews lived in the city, with the population expanding due to immigrants from eastern and central Europe. On completing his elementary Jewish education at the Talmud Torah, Klein studied for several years with private tutors, and as an adolescent his commitment to Judaism was so strong that he considered going to a yeshiva for rabbinic training. Instead, he embarked upon a secular career. After graduating from Baron Byng High School, he entered McGill University in the fall of 1926. Jewish Leader at University. While at McGill, Klein was a leading figure in Canadian Young Judaea, the Zionist youth movement. (Zionists supported a homeland for the Jewish people in Israel. The movement achieved its goal in 1948 with the founding of modern Israel.) In 1928, he became editor of its national periodical, the Judaean, and a year later he was appointed educational director of Young Judaea, a position he held until June 1932. From the early 1930s on he contributed articles and reviews to the Canadian Jewish Chronicle, and he prepared outlines for study groups in Young Judaea on such topics as the history of the Jews in Poland and the treatment of the Jew in English literature. Jewish Fiction and Nonfiction. Many of Klein’s early published poems and nearly all his early short stories appeared first in the Judaean. Klein’s fiction, like his poetry, was an important part of his activity during his university years in the late 1920s and early 1930s. From 1929 to 1933, he published fourteen short stories, nearly all in Jewish publications. He contributed articles to the McGill Daily, and he founded a university literary magazine, the McGilliad. Continued Jewish Activities. 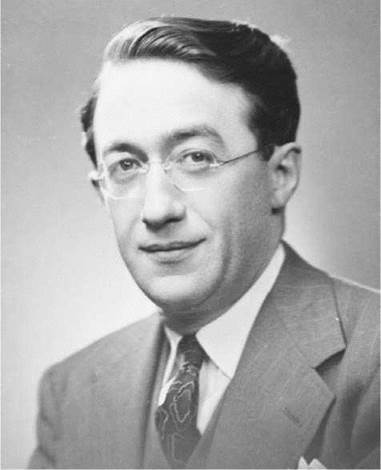 Klein graduated with his BA in 1930 and proceeded to take his law degree at the University of Montreal in 1933. Upon graduating from law school, he practice law with Samuel Chait, a friend from his Young Judaea days, but a year later, he entered partnership with Max Garmaise, a former fellow student at law school with whom he maintained a lifelong friendship. Klein was bored, however, and found the efforts to practice law in Montreal during the Depression years futile. The Great Depression had been caused by the Stock Market Crash of 1929 in the United States as well as economic crises worldwide in the late 1920s and early 1930s. During much of the 1930s, much of the world was mired in a financial slump. Klein’s short story ‘‘Whom God Hath Joined,’’ written during this period, reflects his frustrations. After his father’s death in 1934, Klein took on the financial burden of his family and added to his responsibility when he married his childhood sweetheart, Bessie Kozlov, in 1935. In November 1938, Klein assumed the editorship of the Canadian Jewish Chronicle, the leading Anglo-Jewish weekly in Canada. For the next seventeen years, his was an important voice in the Jewish community as a lecturer on Zionism, in his poetry and fiction, and in hundreds of articles and editorials, published chiefly in the Canadian Jewish Chronicle. A Shift in Focus. Klein initially wrote to educate and empower the Jewish community, but the mid-1930s saw a shift in emphasis in his short stories. His widening range of activities, both in literary circles and in the legal profession, brought him in touch with a larger world of experience, one reflected in unpublished stories such as ‘‘Whom God Hath Joined’’ and ‘‘Portrait of an Executioner.’’ The Great Depression, the problem of increasing financial responsibility after the death of his father, the growing threat of fascism, and the intensifying Nazi menace became greater subjects of concern for Klein. The Nazi Party had gained power in Germany in the early 1930s. Led by Adolf Hitler, who soon became Germany’s dictator, Nazi Germany had territorial ambitions backed by an expanded military. The Nazis gave Germans a sense of pride after their bitter defeat in World War I and the humiliating peace terms that deeply dampened the German economy. While Hitler and the Nazis longed to control Europe—a primary cause of the beginning of World War II in 1939—they also began taking away the civil rights of Jews as early as 1935. Part of their agenda became the extermination of Jews in what came to be known as the Holocaust. Dark Subjects. In 1932, Klein assembled most of his completed poems into two collections, Gestures Hebraic and Poems, neither of which has been published. The former contains his ‘‘Jewish’’ poems, and the latter, with some notable exceptions, such as ‘‘The Diary of Abraham Segal, Poet’’ and ‘‘The Soiree of Velvel Kleinburger,’’ includes poems not specifically Jewish in content. Most of Klein’s best-known early poems, such as ‘‘Greeting on This Day’’ and ‘‘Out of the Pulver and the Polished Lens,’’ and his first published volume of poetry, Hath Not a Jew... (1940), present poetry exclusively from the world of Jewish experience. In the mid-1940s, after a lapse of a few years, Klein returned to the short-story genre and continued on his most familiar subjects. His dark view of the world, however, provoked by the Depression and Nazism, was worsened by the horror of the Holocaust and his perception of the cynical and immoral indifference of the democratic world. In three stories written between 1943 and 1945, ‘‘Detective Story,’’ ‘‘We Who Are About to Be Born,’’ and ‘‘One More Utopia,’’ Klein expresses a very negative attitude toward life. Depression and Collapse. Until he suffered a nervous breakdown in the mid-1950s, Klein continued as editor of the Canadian Jewish Chronicle. He lectured frequently to Jewish audiences in Canada and the United States on the Holocaust and on the newly emergent state of Israel, and occasionally addressed groups on English writers, specifically James Joyce and Gerard Manley Hopkins. His breakdown, when it occurred, came as a shock. After a short period spent in a hospital in late summer 1954, he attempted to return to his normal routine, but by the end of 1956, Klein withdrew from most of his activities and from virtually all contact with friends and family. His deep depression lasted until his death on August 20, 1972. Golda Meir (1898-1978): One of the founders of the modern state of Israel and its fourth prime minister. Henry Roth (1906-1995): Author of Call It Sleep (1934), considered a masterwork of Jewish American literature. The novel focuses on the life of a young boy growing up in a Jewish slum in New York City. Leon Uris (1924-2003): American author famous for his well-researched historical novels, including Exodus (1958), which focuses on the founding of the modern state of Israel. Elia Kazan (1909-2003): The Greek-American film and stage director also widely known for his cofounding of the New York City Actors Studio. Eudora Welty (1909-2001): An American fiction writer who was widely known for her writings about the American South. Her novels include The Optimist's Daughter (1972), which won the Pulitzer Prize in 1973. Collected Later Poems (2003), poems by Anthony Hecht. In this collection of three volumes of poetry, the expressions of Hecht's experiences as a World War II liberator who witnessed the atrocities firsthand take on intense focus and profound sentiment. Night (1955), a memoir by Elie Wiesel. In this brief but powerful autobiography, the author recounts his experiences as a young Orthodox Jew imprisoned at Auschwitz and Buchenwald. The Shawl (1990), a collection of short fiction by Cynthia Ozick. In these the novella and short story contained in this publication, the author tells the intimate story of Holocaust survivor Rosa Lublin, who loses her children and her soul. Man's Search for Meaning (1945), a nonfiction book by Viktor Frankl. In this work, the Austrian neurologist and psychiatrist retells his experiences as a Holocaust victim and puts forth a philosophy and a therapy of existential healing. Influences. Klein’s creative work was shaped by his Jewish background, home and education, among other influences. Klein’s early verse was also markedly influenced by the sensuous language and imagery of the poetry of Keats. While this influence remained because it was well suited to Klein’s temperament and taste, Klein also responded to the metaphysical qualities of John Donne and to the more modern verse of W. B. Yeats and T. S. Eliot. With Klein’s early stories he followed the tradition of the great Jewish short-story writers, such as I. L. Peretz, Chaim Nachman Bialik, Sholom Aleichem, and S. J. Agnon. The central theme in Hath Not a Jew ..., however, is anti-Semitism, a topic given terrible immediacy in the 1930s by the Nazis. Klein gives this subject perspective in ‘‘Sonnet in Time of Affliction’’ and ‘‘Design for Mediaeval Tapestry,’’ for instance, by referring directly or through image and allusion to instances of anti-Semitism in biblical and postbiblical times and in various regions. In ‘‘Childe Harold’s Pilgrimage,’’ he depicts the callous indifference of the Western world to the brutal, genocidal policies of the pro-Nazi regimes, while in many other poems he examines the wide range of Jewish responses to this recurring tragedy, from pious or passive acquiescence to active resistance. In all that he describes, whether through symbol, allusion, or precise and minute detail, Klein is essentially romantic, revealing the capacity to perceive freshly the wonder of life with a hint of whimsy. The subject matter of Klein’s fiction, like that of many of his poems, centers on Jewish holidays and ceremonies, such as the Sabbath, Hanukkah, and Passover, and involves animals and demons, mystical visitants, and a wide range of characters familiar to the Jewish scene—the scribe or scholar, the shlimazl, or community functionary. The tone of these stories is comparable to that of the early poems—a blending of wit and whimsy, of sentimentality and wry humor, a respect for simple human dignity, and an acceptance of the weaknesses that seem, perhaps fortunately, an inevitable component in the human comedy. Hath Not a Jew... The poems found in this collection explore history, past and current, and present dramatic incidents in the Holy Land and of the Diaspora (the Jewish community outside of Palestine) such as the massacre at Hebron and the pogroms in Europe. Some movingly describe famed characters such as Reb Levi Yitschok, philosopher Baruch Spinoza, and the Baal Shem Tov. Critics note that his irony at times suggests a critical awareness of shortcomings, but on the whole the tone is genial and tolerant. In general, critics believe, Klein creates for his people a dignified counterportrait to the degrading stereotyped image circulated by anti-Semites. 1. The pattern of life in Klein’s community was uniquely Jewish. Festive and solemn religious holidays were key annual events, and the code of religious observances was the norm of accepted behavior. In a group, take responsibility for investigating one Jewish holiday, discovering its origin, its importance today, and how it is celebrated. Prepare a presentation to the class demonstrating what you learn. 2. Klein presents to his reader a broad cross section of French Canadians, ranging from ordinary folk with simple faith and large families to industrial and financial barons, from rowdy students and sedate scholars to gangsters and demagogic politicians, and from pompous functionaries to humbly devout and devoted Sisters of Mercy. Consider the characteristics of one of these persons. Make a list of the qualities in that character that you find striking. Then write a portrait poem to depict that person/ character. 3. Klein planned a major historical novel on the golem legend, a topic that fascinated him. Research the golem legend. Find out what a golem is, what the background is for the legend, and what different versions of the folklore exist. Then read Michael Chabon’s 2000 novel The Amazing Adventures of Kavalier and Clay, which makes prominent use of a golem. How might Klein’s use of the legend have differed from Chabon’s? 4. Students interested in finding out more about the Jewish community in Canada should read A Coat of Many Colors: Two Centuries ofJewish Life in Canada (1990) by Irving Abella. The book contains hundreds of photographs and traces the impact of Jewish immigration to Canada starting in 1738. Collin, W. E. ‘‘The Spirit’s Palestine.’’ In The White Savannahs. Toronto: Macmillan, 1936. Pacey, Desmond. ‘‘A. M. Klein.’’ In Ten Canadian Poets. Toronto: Ryerson, 1958. Dudek, Louis. ‘‘A. M. Klein.’’ Canadian Forum 30 (April 1950): 10-12. Edel, Leon. ‘‘Abraham M. Klein.’’ Canadian Forum 12 (May 1932): 300-302. Livesay, Dorothy. ‘‘The Polished Lens: Poetic Techniques of Pratt and Klein.’’ Canadian Literature 25 (Summer 1965): 33-42. Smith, A. J. M. ‘‘Abraham Moses Klein.’’ Les Gants du Ciel 11 (Spring 1946): 67-81. Steinberg, M. W. ‘‘A. M. Klein as Journalist.’’ Canadian Literature 82 (Autumn 1979): 21-30. Person.’’ The Jewish Daily Forward. Retrieved March 25, 2008, from http://www.forward.com/articles/12415/. Pollock, Zailig. A. M. Klein. Retrieved March 25, 2008, from http://www.library.utoronto.ca/canpoetry/klein/. Sloame, Joanna. ‘‘The Virtual Jewish History Tour, Montreal Quebec.’’ Jewish Virtual Library. Retrieved June 21, 2008, from http://www.jewishvirtuallibrary.org/jsource/vjw/Quebec.html.